I am glad and surprised the Bills traded Marcel Dareus to the Jaguars. I’m glad because I’m tired of talking about him being overpaid and underachieving. The guy didn’t seem to care, and played that way too. I’m surprised a team would take on his contract, but I’m sure Jags Head Coach Doug Marone convinced the front office he would get the most out of the DT that had his best season under Marone. Maybe he will, but Bills fans shouldn’t care. Whomever Brandon Beane selects with the 6th round draft pick acquired in return, will work harder than Dareus. This is the third significant non draft day trade Brandon Beane has made as GM of the Bills. 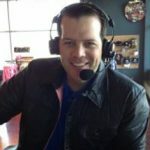 He moved Sammy Watkins and Ron Darby in separate, connected trades on the same day during training camp. We can, and will argue if he made good trades for years to come given injuries and struggles at WR this year. The second round pick from the Rams makes it a win, or at least it should. It depends on who they draft, and that’s the end game with all of these trades. The draft. Take a look at the major players this Bills regime has moved on from. EJ Manuel, Marcel Dareus, Sammy Watkins, Ron Darby, Stephon Gilmore, Robert Woods, Reggie Ragland, and potentially Cordy Glenn. All of those players were drafted in first or second round by the Bills since 2012. This says to me that Brandon Beane and Sean McDermott think Buddy Nix and Doug Whaley did a poor job drafting. It’s hard to argue against that. All teams miss on draft picks, even first rounders. Marcel Dareus was the 3rd overall pick in 2011 after Cam Newton and Von Miller. You know the deal with Dareus, so I won’t bore you with the history. It’s easy to go back and look at the players selected after Dareus and see that A.J. Green, Julio Jones, or JJ Watt could have been a Bill. Stephon Gilmore was the right choice with the 10th pick in 2012. He was good, but not great, and now, overpaid by the Pats. The trade to get to 4th overall in 2014 was costly, giving up a first rounder in 2015, and not taking Khalil Mack, Mike Evans, or Odell Beckham Jr. Watkins had some great games, but being traded for a 2nd round pick and a CB equals bad pick. That’s three picks in the top 10 the Bills have moved on from. When you draft in the top 10, you have to hit on franchise players. During roughly the same period, the Atlanta Falcons also had three picks in the top 10 slots of the draft. In 2011, the Falcons chose Julio Jones with the 6th pick. They also had the 6th pick in 2014 and selected Tackle Jake Matthews. The following year, 2015, they took OLB and pass rusher Vic Beasley. Key players that helped them win the NFC last season. However, this is just one team that hit on top 10 picks without having the top overall selection. I’m not suggesting the Bills should be the Falcons, but I am suggesting that it can be done right. The Bills did not, having moved on from all three of their top 10 picks. They needed one or two of them to be great players. Instead, they were occasionally difference makers. The Bills will continue to rebuild. If you didn’t think that’s what was happening, you were mistaken. 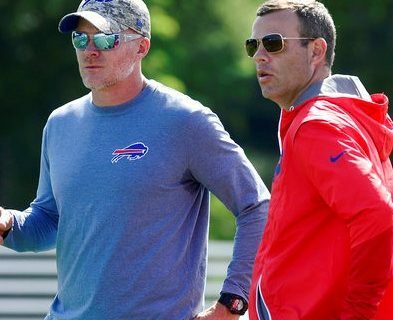 The Bills are draining the swamp of overpaid, underperforming veterans they didn’t draft of sign as free agents. It also means that Tyrod Taylor and LeSean McCoy are likely in their last seasons for the Bills as Paul Peck wrote last week. Finally, you should hope this GM doesn’t miss on his high draft picks as his predecessors did.